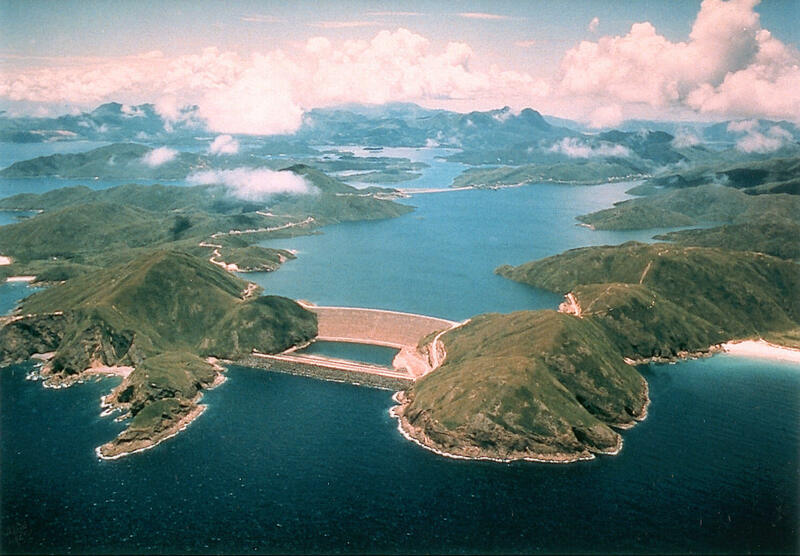 High Island Reservoir is the largest in Hong Kong by volume, [273 (3) /281 (1) (4) million cubic metres]. Plover Cove Reservoir has a larger area. Consultants: The reservoir was designed by Binnie & Partners as a part of the High Island Water Scheme which included pipeworks and other supporting infrastructure as well as the reservoir itself. Contractor: Rico Lee – According to the text on the dolo-shaped memorial at the East main dam to those fallen in the course of the project, the general contractor (which erected the memorial) is Vianini S.p.A. Roma. Inauguration: Rico Lee – Regarding the inauguration date of the project, it was around late-1978 or early-1979. The memorial stone on the project completion, now lying at the centre of the turnaround at the southeast end of the West main dam is dated 27 November 1978. Project Description: High Island Water system entailed the construction of two main dams. One was built at the west of High Island connecting it with the Sai Kung Peninsula at Yuen Ng Fan (元五墳). The other was built in the southeast of High Island, connecting it with the Sai Kung Peninsula near Po Pin Chau island. Two roads were created as part of the scheme, crossing over the dams. Shui Keng Teng forms a large island within the reservoir. Two large rock-filled dams (110 and 103 metres high) were completed in 1979. These closed the narrow strait between the mainland and the formerly separate High Island, and sea water was pumped out. The orginal catchment was too small (15 square kms), thus 40 kms of tunnels were built to divert fresh water to the reservoir, effectively adding 61 square kms to the drainage basin. Today the reservoir holds 281 million cubic metres of water, and when at full capacity, the surface stands 61.5 metres above sea level. To protect…the reservoir from storm waves, 7,000 concrete dolos ( an Afrikaans word for a sheep knuckle) were placed against a coffer dam that was originally used construction. Rico Lee: Below are my original photos of the memorial stone. The stone is a big piece of granite in English, the first image, and Chinese text, the second. 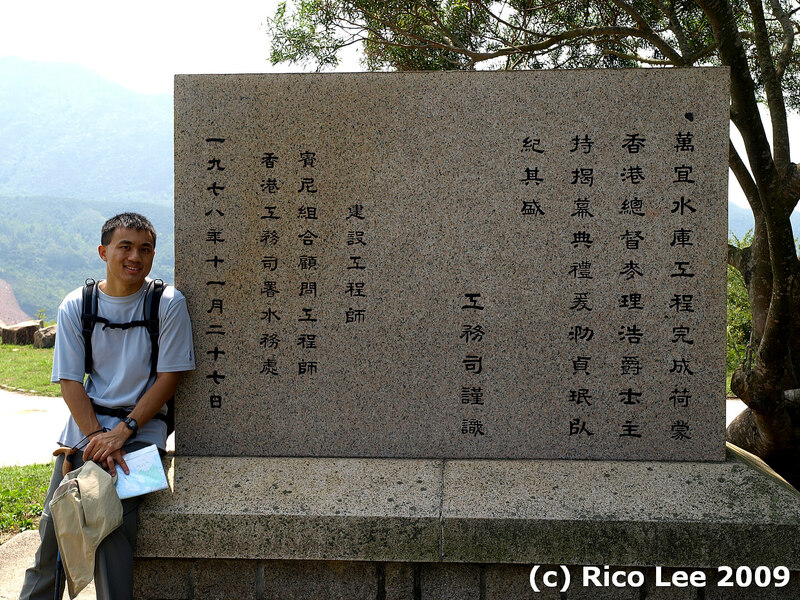 The face with the Chinese text is facing northeast/towards the Pak Tam Chung direction of Sai Kung Man Yee Road while the face with the English text is facing southwest/East Dam direction of the same road. 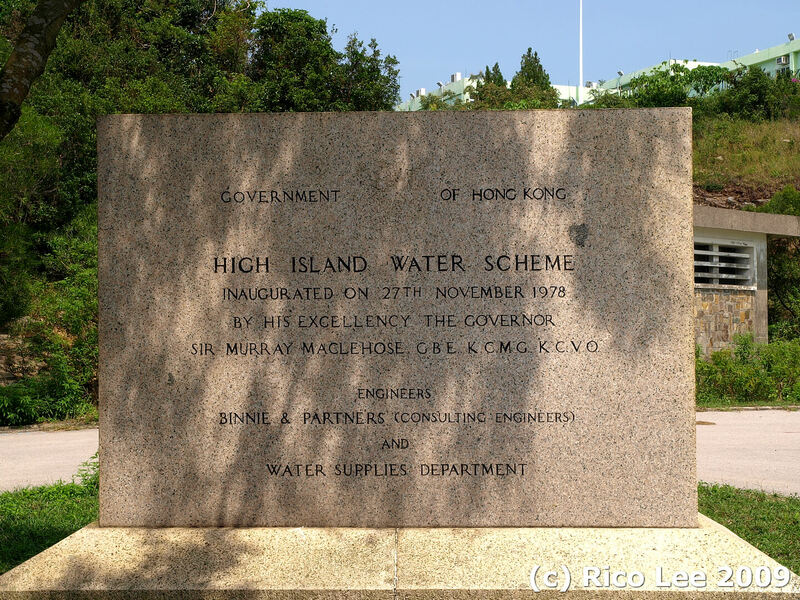 It is worth mentioning that of all the memorial stones on the inauguration of major water schemes in Hong Kong I have encountered in person (Tai Tam Tuk, Shing Mun, Tai Lam, Plover Cove. High Island), the one for the High Island scheme is the only instance that there is an English AND Chinese text. Elizabeth Ride: The following information has been extracted from Hong Kong Annual Reports. This article was first posted on 1st April 2015. (2) Her Royal Highness Princess Alexander officiated at a ceremony to mark the start of pumping into supply from the High Island Reservoir. The cost of HKD1,348 million is confusing as the comma looks like a point. Is this font specially designed for the European way? Changing the font may be a long term solution. Should one replace the comma with a space, i.e. HK$1 348 million or HK$1.35 billion (use 2 decimal places). The Wiki quote a construction cost of 400 million which is far too low for a civil works of this scale.